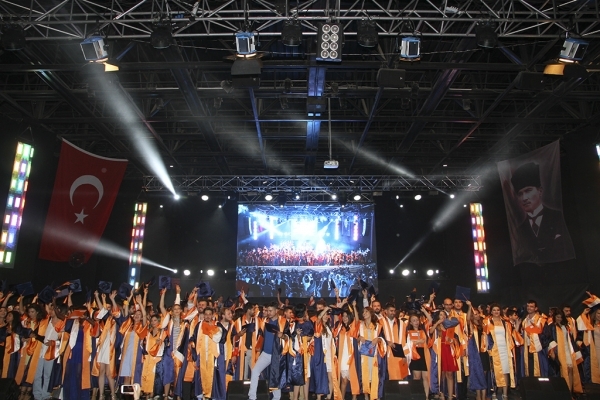 2016 graduates of Izmir University of Economics (IUE) entered the business world. One thousand 509 students who’ve completed 2015 – 2016 Academic Year successfully, were awarded their diplomas at the ceremony which took place at IUE Amphitheatre. At the end of the ceremony, the graduates proudly threw their caps into the air. Mesut Kılıç, top student of the University who graduated from Department of International Relations and European Union, attached a star on the commemorative symbolic log with President Demirtaş and IUE Rector Prof. Dr. Can Muğan. 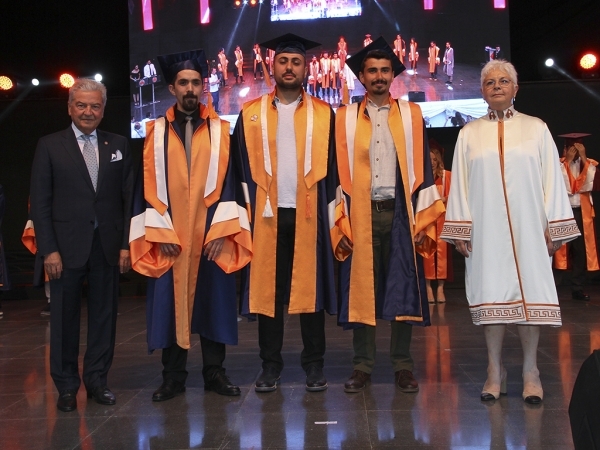 Emin Serin (top student of Department of Psychology) and Mustafa Serhat Atalay (top student of Department of Translation and Interpretation) respectively the second highest and third highest ranking students, were also presented their diplomas and plaques by Demirtaş and Prof. Dr. Muğan. Ata Caner Çerçioğlu, Graduate of IUE Department of Trade and Finance, son of Özlem Çerçioğlu, Mayor of Aydın Metropolitan Municipality, also received his diploma. 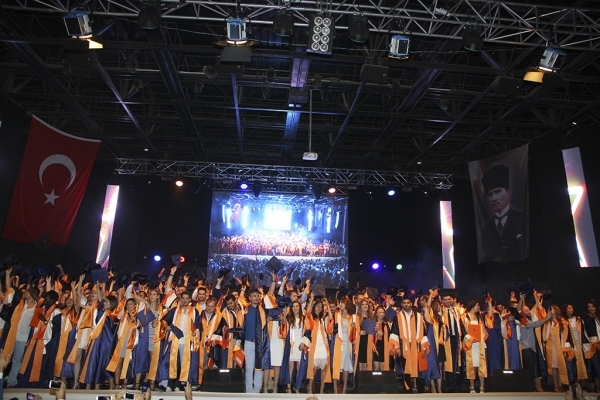 Graduates of Post-graduate Programs, Faculties of Engineering and Computer Sciences, Business, Arts and Science, were also granted their diplomas at the ceremony as the families proudly watched their children. 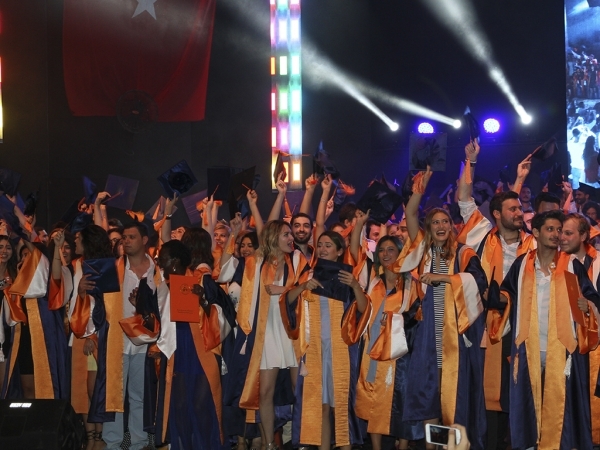 Cengiz Ülken, Chairman of the IUE Alumni Association, stated that the graduates would be making a difference with the quality of their education both in national and international business world. Top student Mesut Kılıç pointed out that the vision of Izmir University of Economics would guide him in business life.